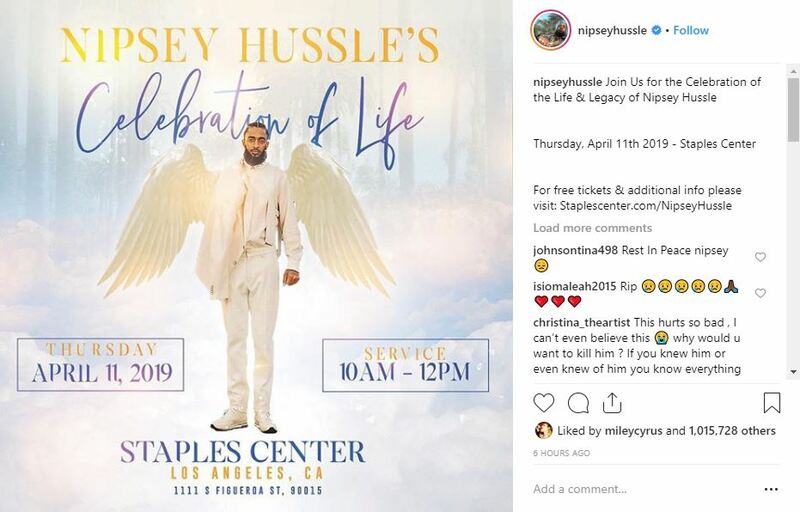 Washington D.C [USA], Apr 9 (ANI): The public memorial service for American rapper Nipsey Hussle will be held on Thursday, the late rapper’s family announced in a post on his Instagram account. 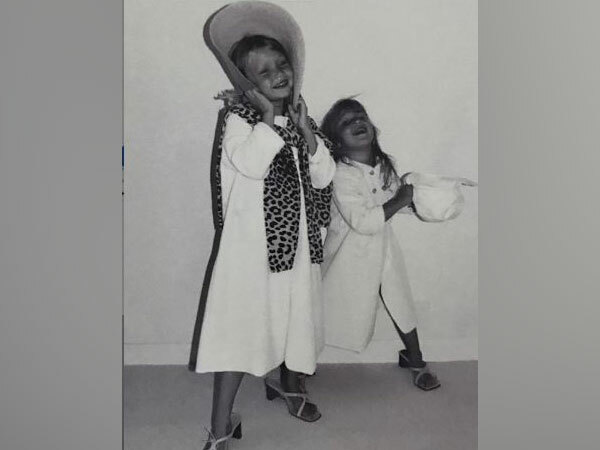 The official 'Celebration of Life' is scheduled to take place on Thursday at Staples Center in downtown Los Angeles. "Join Us for the Celebration of the Life & Legacy of Nipsey Hussle. 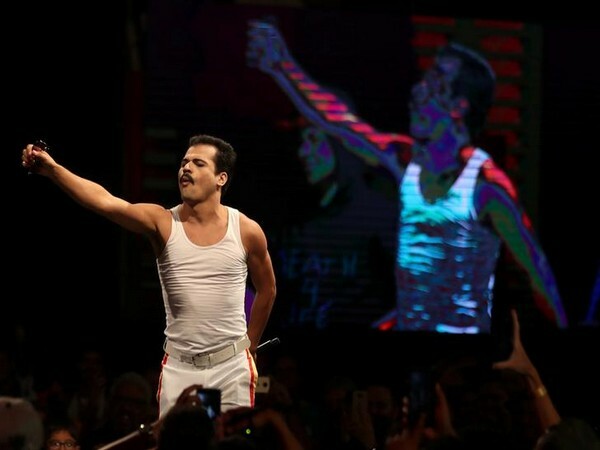 Thursday, April 11th 2019 - Staples Center. For free tickets & additional info please visit: Staplescenter.com/NipseyHussle," the post read. 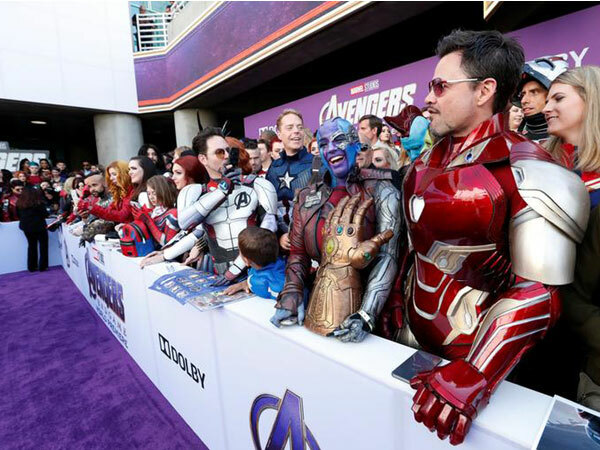 Doors will open at 8 am PT, with the service to get underway at 10 am and will run for approximately two hours, reported The Hollywood Reporter. Tickets will be available from Tuesday at 10 a.m. and will be free of charge. Recording devices will not be permitted inside. 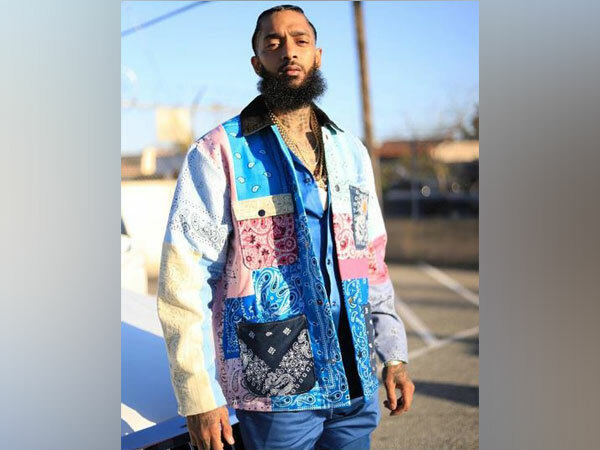 Ermias Davidson Ashedom, popularly known by his stage name Nipsey Hussle, was reportedly murdered on last Sunday in front of Marathon Clothing, one of several businesses he owned in his native South Los Angeles. Police on last Tuesday arrested Eric Holder and on last Thursday filed charges of murder and attempted murder against him, and currently, he is being held on USD 5 million bail. He appeared in a downtown Los Angeles courtroom on last Thursday afternoon, where he was represented by attorney Chris Darden. Darden entered a not guilty plea on his behalf.